Minister of Defense Amama Mbabazi of Uganda presents a drum as a gift to Deputy Secretary of Defense Paul Wolfowitz. Image from the US Department of Defense. Puzo wrote in The Godfather; It is nothing personal. Just business. Heading the National Social Security Fund, commonly referred to as NSSF, is known to be challenging. Having scalded the resumes of many managing directors along with their boards of directors, NSSF has the highest CEO turnover in Uganda since 1998 in the days of Abel Katembwe, whose contract was terminated suddenly. His woes begun when NSSF bought him a four-bedroom house in Mbuya at 400 million Uganda shillings. The cost of its refurbishment was initially put at 215 million Uganda shillings. Later, this cost rose to a staggering 400 million - double the cost at which the house was bought. That not only made the public and stakeholders raise an eyebrow but got workers nationwide baying for blood. Katembwe's days were numbered with the alleged discovery of 1.4 million US dollars missing from the NSSF coffers. Apparently, a local bank gave this money to Alcon International, which through a court case it later won has been waiting for damages which NSSF is yet to pay. The question then was; what kind of investment, using workers money should warrant spending over 700 million Uganda shillings on the MD's House? After the Katembwe debacle, Dr Yoramu Barongo was appointed as the MD. He too was suspended afterwards. During his tenure, the Chief Government Valuer, Eddie Nsamba Gayiira, was interdicted for grossly overvaluing UDYAM House (now known as NSSF House) to the tune of 3.3 billion Uganda shillings. 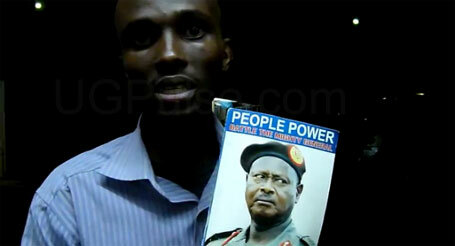 It was sold at a controversial price of 9.7 billion Uganda shillings - much higher than the market price at the time. Next came Leonard Mpuuma, who was jointly charged with board chairman Onegi Obel. The now infamous Nsimbe Estate scandal followed an inflated valuation of the project. It's believed that in this 2004 version of investment choices, the price of land purchased by NSSF was inflated by over 4 billion Uganda shillings. At the time, this saga took the biscuit. The project, undertaken in partnership with Nairobi-based Mugoya Isabirye of Mugoya Construction Company, not only fleeced workers but also epitomised the inept handling by public officials of workers savings in Uganda. The Minister for Gender, Labour and Social Welfare (under which NSSF fell at the time), Bakoko Bakoru, was charged. So was Mugoya. However, the two are still at large. The minister fled to the US and claimed asylum. After the trial, Mpuuma was fined 100 million Uganda shillings while Obel is still facing trial. NSSF was consequently transferred from the Gender and Labour Ministry to that of Finance & Economic Planning for what was believed to be proper supervision. But alas! This fund seems to attract controversy. Now NSSF is in the news again for shady business dealings and flouting of public procurement rules. It appears that government officials, the very ones supposed to be looking out for Joe Public are involved in the latest scandal. The Parliamentary Committee on Statutory Enterprises has just been investigating how NSSF purchased land in Temangalo, Wakiso District from Arma Ltd. Arma Ltd belongs to Amama Mbabazi (Security Minister and NRM secretary General) and Amos Nzeyi, a city businessman. Chandi Jamwa, the current NSSF MD intimated to the committee that the land NSSF bought was unencumbered with tenants. It has however been discovered that the land has tenants, is less in size than what the MD claims was bought, is partly a seasonal wet land (or if we are to believe Mbabazi, is filled with fishing farms/ponds). National Environmental Management Authority (NEMA) asserts that 46% of the land that NSSF bought in Temangalo is swampy. However, the current controversy has government officials who believe they are untouchables starring in roles that include flouting Public Procurement and Disposal Act rules. The question now is how did John Patrick Amama Mbabazi & Amos Nzeyi learn that NSSF was looking for land to buy and vice-versa? Who approached the other? We have recently learnt that the land database that the MD and his board chairman claim to have consulted is unknown by even the top NSSF staff! It has now emerged that the line Minister for NSSF, Ezra Suruma, is not only a friend and business partner of the seller(s) but also gave a go ahead to the NSSF board to purchase the land without verifying that workers' money would not be lost. The land was shamelessly overvalued, the NSSF board ignored several market price quotations set by different independent valuers, did not use the government valuer and were in such a hurry to purchase this land that they ignored Public Procurement and Disposal Act (PPDA) rules - the crucial one being advertising in the press for bids. My opinion is that David Chandi Jamwa, together with his deputy, Mondo Kagonyera and chairman Gamuwa found themselves between a rock and a hard place. How could they disobey the mighty influential ministers? Both parties never thought the transaction would see the light of day but now what started as a clear case of fund mismanagement, flouting of PPDA rules, influence peddling, etc has become a political cat fight. NRM has always had politicians of questionable character but the hitherto clean, loyal but somewhat arrogant Minister of Security is now in the same boat as the former. The scandal has also become a political fight with the Bakiga claiming that they are being witch hunted by the Banyarujumbura! The President of Uganda has decided to take sides for now, waiting for the recommendations from the Parliament Committee that is investigating the matter. He must be having a serious sleep deficit, watching senior party cadres tear each other apart. This time, his most trusted buddy is the one in hot water. It is an interesting scenario that the NSSF deputy MD is a Mukiga, just like the seller(s) and the line Minister. This is as interesting as it gets but the bottom line is that there has to be a fall guy for this debacle and Jamwa and his Board look like the favourite candidates. But like Mario Puzo wrote in The Godfather, it is nothing personal. Just business. Fiona Abaasa is a UGPulse.com writer based in Kampala. Fiona has been writing for the site since 2005 giving her the second oldest writer history on the site. 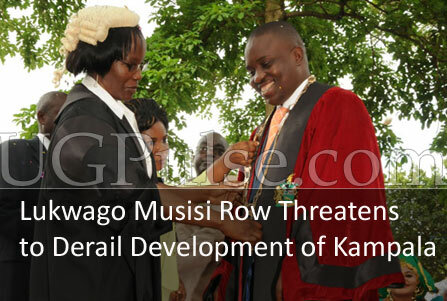 Sebaggala warned Lukwago that though he (Lukwago) won the position of Lord Mayor, he was going for bwooya byanswa (an empty position). Arrest of Vincent Nzaramba: By making these kinds of arrests the government is hiding behind a false shield. There is a lot of talk that Museveni's strong stand in wanting to give away Mabira is not connected to sugar production. What happens to government institutions when the President has to handle every issue? Uganda's politics of sugar as prices rise and economy bites. It is absurd that some people can say that I was lured to the ruling party because of money. Such a comment is demeaning and shallow. Caution and conscience rule as Dr. Kizza Besigye and his FDC supporters ponder his political future.